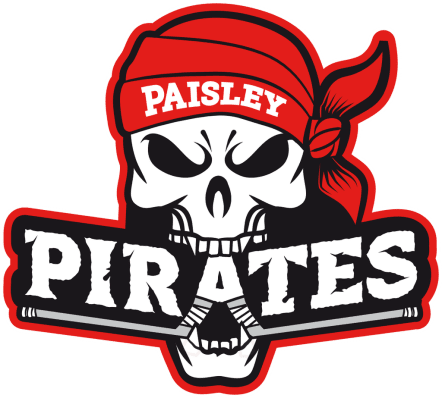 Paisley Pirates return to Braehead Arena this Sunday (face off 6.00pm) for the first time in three weeks to take on the Moray Typhoons in swift re-match following the Renfrewshire side’s 7-1 win over the Elgin side when they met last Saturday. “Yes, it’s a quick turnaround for us as we only saw them last weekend, but that’s sometimes how the fixtures work. It won’t make any difference to our preparation though, as we’ll be just as thorough as we always are before we take on an opponent,” said Head Coach Ian Turley. “People might be of the view that we’re favourites for the two points after defeating them in their rink only a week ago, but we don’t see it that way at all,” he went on.